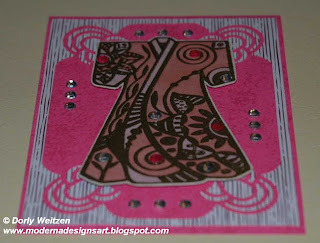 Here's a new card I created using vivid, optimistic colors - mainly shades of pink, as required by the October challenge at enjoyMichaelStrongstamps Yahoo Group . 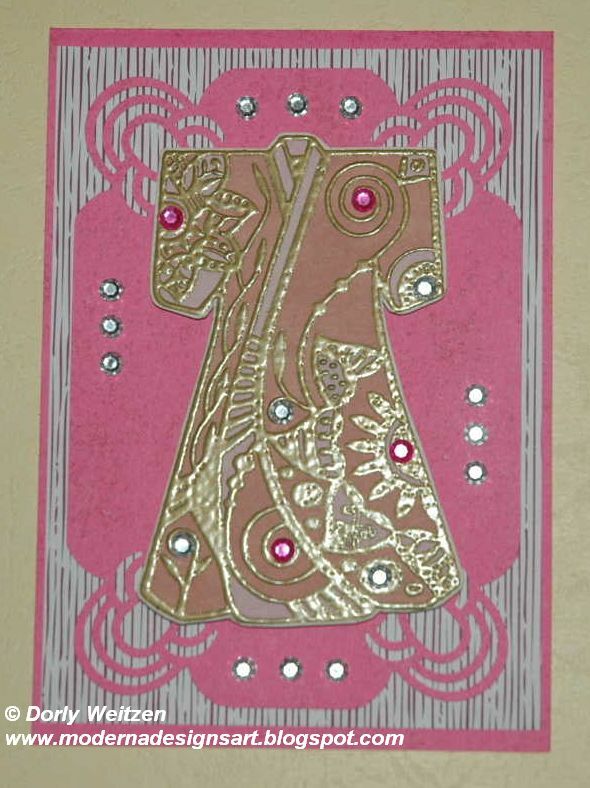 I gave it to a friend as her birthday card. its corners punched using Martha Stewart Large Punch around the Page - Double Arches set (I used only the corner punch here). 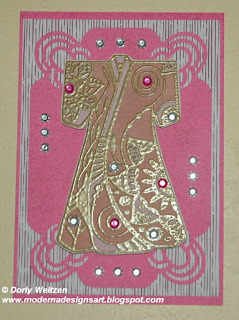 I added several clear and pink blings to add some glam. 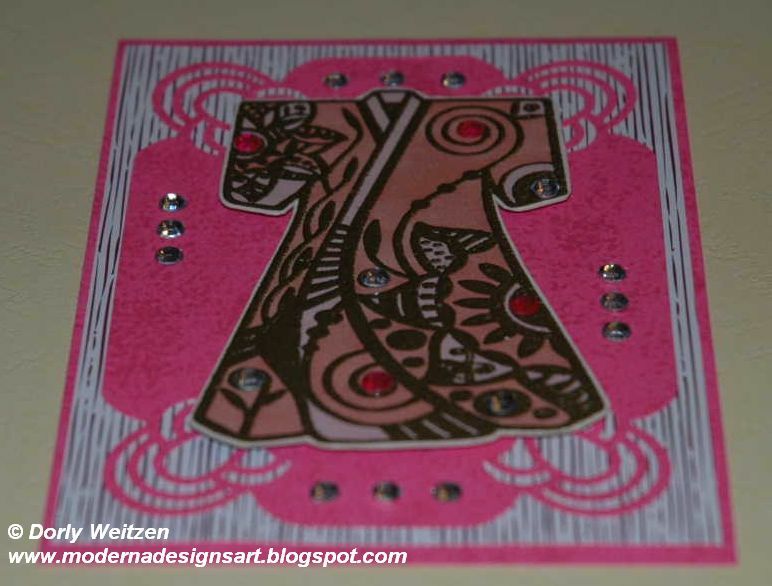 Beautiful layout Dorly...I'm sure your friend loved the birthday card!